MONDAY, Nov. 20, 2017 (HealthDay News) -- Babies apparently have a better understanding of adults' language than you might think. New research reveals that they can identify the meanings of some words and even recognize that some words are more connected to certain words than to others. The finding is based on an analysis that used eye-tracking software to see how approximately 40 babies reacted when certain words -- and word pairs -- were uttered in their presence. "Even though there aren't many overt signals of language knowledge in babies, language is definitely developing furiously under the surface," said study author Elika Bergelson, an assistant professor of psychology and neuroscience at Duke University. "Even in the very early stages of comprehension, babies seem to know something about how words relate to each other," Bergelson said in a university news release. "And already by 6 months, measurable aspects of their home environment predict how much of this early level of knowledge they have." The findings could eventually point the way toward fashioning "potential intervention work with children who might be at risk for language delays or deficits," she said. In earlier research, Bergelson found that even babies as young as 6 to 9 months old are able to follow words related to food and body parts. The current follow-up investigation was conducted in both a lab setting and in each participating infant's home. In one instance, the baby's eyes were tracked while facing a computer screen that flashed various image pairs and their caregiver said the words for each pair out loud. Some image pairs were related, such as a hand and a foot, while others were not, such as a foot and a milk carton. The babies appeared to recognize when images were related, Bergelson said. In-home testing involved recording both audio and video of parental interactions with their infant. In the end, the recordings suggested that babies seem to better follow the meaning of a word when its utterance was accompanied by a clear visual cue, the study found. That meant, for example, that saying the word "pen" while showing a pen appeared to make more of an impact than, say, uttering the word "lion" without any indication as to what a lion might be. "My take-home to parents always is, the more you can talk to your kid, the better," Bergelson said. "They are listening and learning from what you say, even if it doesn't appear to be so." The findings are outlined in the Nov. 20 issue of the Proceedings of the National Academy of Sciences. 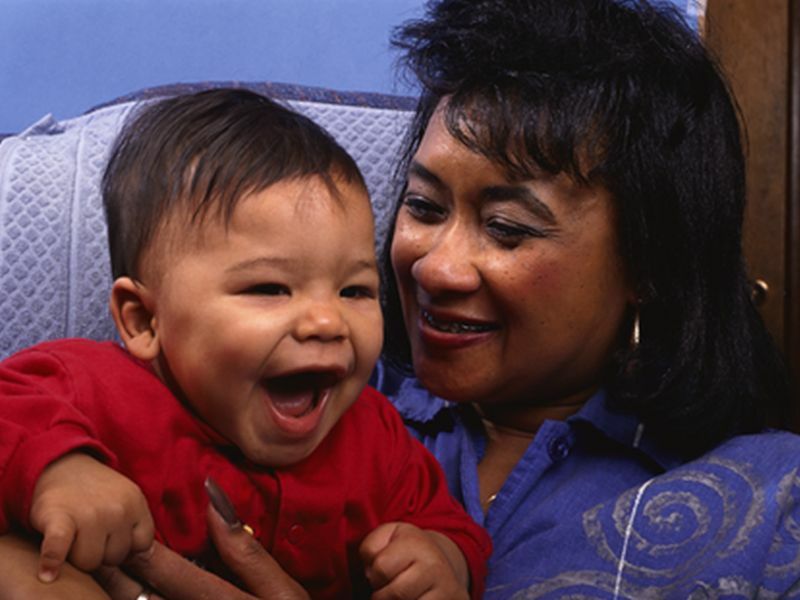 The U.S. National Institute of Deafness and Other Communication Disorders has more on babies and language.